While Sony is preparing an official announcement for its next PlayStation console later today, rumors are still circulating about what online features the system will house. A source recently reported to Kotaku that the PS4 will offer a paid premium subscription to access most of the system's online features. The service is said to be called PlayStation World, and would replace the current PlayStation Plus subscription with something more similar to Microsoft's Xbox Live. Such rumors should often be taken with a grain of salt, though Kotaku noted the anonymous source is the same one that originally revealed the PlayStation 4's codename, Orbis. 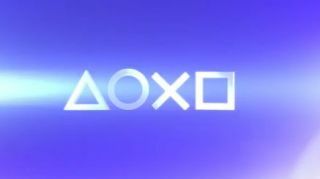 Along with the online rumors, the source suggested that the PlayStation 4 will launch in the U.S. sometime in November. There will allegedly be two models sold at the time, with U.S. pricing suggested to be $429 and $529 respectively. The prices are subject to change, of course, and it's not expected that Sony will announce the system's price during the event later today. In fact, the online subscription may still be a mystery after today if Sony focuses on an overview of the new hardware instead of specific features. There are only a few hours left until Sony makes the official PS4 debut, so be sure to check out our PS4 landing page to catch up on all of the reports and rumors so far.